The resource curse is a well-documented conundrum. Too many countries with an abundance of natural resources paradoxically experience lacklustre economic growth and poor social development, whilst many are plagued by ongoing conflict and the persistent legacy of war. 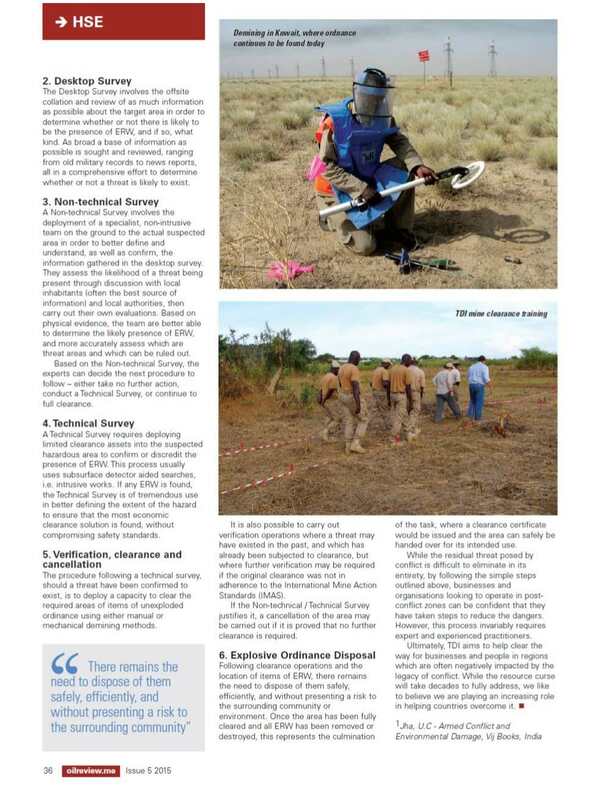 One of the untold, but no less damaging legacies of conflict, is the ground contamination posed by Explosive Remnants of War (ERW)….